So, in the category of Fashion Questions I Have Never Asked Myself, what does a very pregnant duchess wear to a daytime event in honor of Commonwealth Day? 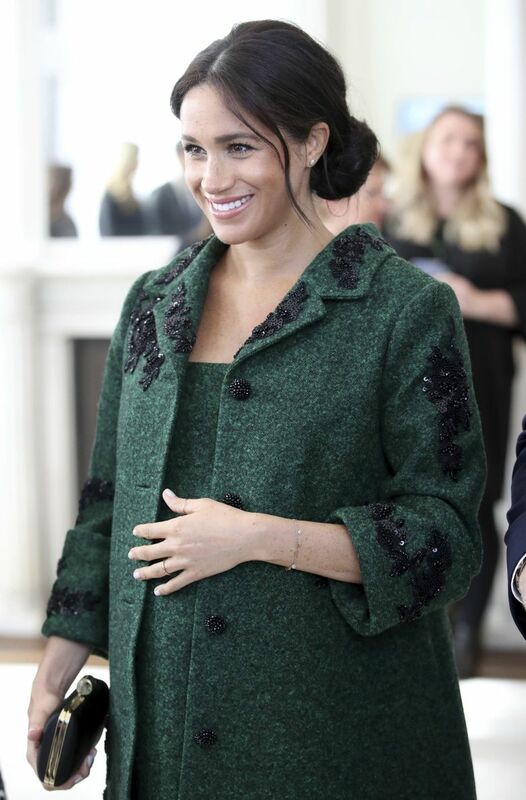 She — if she is Meghan Markle, aka the Duchess of Sussex, aka the one married to Prince Harry — chose something pretty cute: a green Erdem coat, embroidered in a black-beaded floral pattern, with a matching green dress beneath. The coat is similar to one shown on Erdem’s fall/winter 2019 runway, and probably didn’t need much adaptation; it’s a voluminous, vintage-looking silhouette. If I were a pregnant duchess, this is exactly what I would wear. My only complaint: Why didn’t she save this outfit for St. Patrick’s Day?